Meza Stone Works fabricates Marble and Granite for over 20 years. With limitless options on designs and uses. Granite and Marble are natural stones that adds value and individuality anywhere it is used. They can be used in any way that you can imagine– indoors and outdoors. Fireplaces, patios, grill surroundings, shower seats or floors, Jacuzzi surroundings, steps and stairways- the possibilities are endless. South Winds / Cherokee Carpet Industries is a privately held company established in 1994. Since the beginning, Cherokee has maintained a sole focus on producing high quality, affordable broadloom carpeting. Continued expansion in extrusion and tufting equipment has facilitated our growth into a full line manufacturer of polypropylene, solution dyed nylon and solution dyed polyester products for every market segment. The Tile Shop has a team of creative space designers that locates the highest quality stone and tile from all over the world and that’s just part of The Tile Shop difference. Exceeding your expectations is the other part. From granite to ceramic, waterproofing membrane to under-floor heating systems, they have the solution for you. 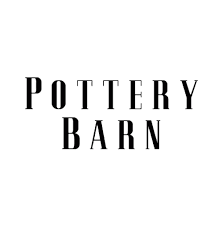 Their team is here to help reshape your kitchen, bathroom, foyer, dining and living room, exterior, pool, patio or fireplace. So no matter the room, no matter the space, let The Tile Shop help fulfil your visions. ProSource Wholesale Flooring, the country’s leading flooring wholesale supplier to the trade professional, can help every builder, remodeler, architect and designer enjoy the benefits of buying direct. Nationwide purchasing power coupled with low overhead allows ProSource to offer the lowest prices you’ll find anywhere on flooring-guaranteed! The ProSource showroom serves members during the day but after regular hours it can serve as your private showroom any time using the ProSource ProKey. 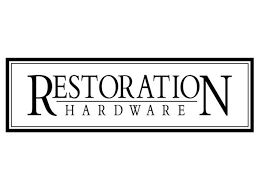 With a huge selection of brand products: Shaw, Mohawk, Lees, Bigelow, DuraWeave, Mannington, Millcraft, Armstrong, Resista, Bruce, Anderson, BR-111, Milliken, Dal-Tile, Quick-Step and many more. All Construction extensive showroom in Brunswick, Ohio features several displays including over a dozen working fireplaces, shower door area, walk-in closets featuring Rubbermaid wood and wire shelving and garage shelving systems, mirrors, kitchen/mudroom area, and complete bathroom hardware. Edelman carries products from over 200 brands. From hand-made architectural hardware to the latest high-tech kitchen appliances, you will enjoy luxury products from around the world. 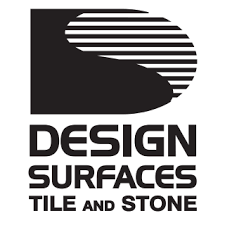 Design Surfaces provides custom fabrication of natural stone and quartz materials. All of their natural stone and quartz selections are kept indoors at their facility in Westlake. Cabinets & Granite Direct is a Direct Import Home Decor, Inc. Co. They import their own granite countertops and also manufacture their own line of solid wood cabinets. They offer 20 different granite colors, as well as 8 types of cabinets, all in stock! 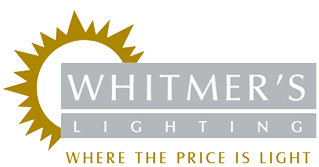 Since 1988, Whitmer’s Lighting has been providing quality lighting products at competitive prices in northeast Ohio. Whether you’re building your dream home or just looking for that perfect home décor finishing touch, the knowledgeable staff at Whitmer’s Lighting can help. A valuable resource to your residential building trade is their state of the art showroom. 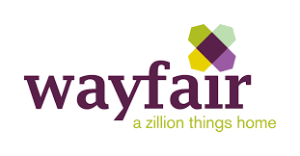 They have over 3000 square feet of showroom space, which promotes creative ideas to homeowners alike. They like to think it is “The showroom that makes you feel like you are at home.” Their showroom has on display over 100 different selections of Cultured Stone® and Natural Stone, both on wall displays and surrounding fireplaces. Also, on display are over 30 Fireplaces, Inserts and Stoves in both traditional and contemporary settings. Many of these are actual burning units. This allows you the customer to visualize how their future fireplace will look. To augment the fireplaces they have many tool sets, gas logs, mantels, mantel surrounds, and natural marble and granite on display. At Graves Lumber, they have the lumber you need to get the job done. Regardless of the scale of your project, and whether you’re a homeowner, contractor, builder or remodeler, they have the millwork, supplies, and construction services you can depend upon. Since 1904, Consumers Builders Supply has supplied leading builders and contractors with ready mix concrete, aggregate and masonry material for commercial, industrial, residential, and road and bridge projects. Your home deserves the finest selection of premium hardscape products you simply can’t find in any big box store. Serving Northeast Ohio and Western Pennsylvania, All Construction Services provides top-quality products and expert installation to residential and commercial builders, in addition to the general public. Their extensive showroom in Brunswick, Ohio features several displays including over a dozen working fireplaces, shower door area, walk-in closets featuring Rubbermaid wood and wire shelving and garage shelving systems, mirrors, kitchen/mudroom area, and complete bathroom hardware.